I got into flying fairly late in life. I got a few hours in while I was taking my DEWLine training in Streator Il in 1960 but earning a living and having a family got in the way of any further aviation adventures. I moved back to Ottawa in the summer of 1974 after going through a separation and decided to fill my time with flying again. I went to Bradley Air Services at the Carp Airport and took a 40 minute introductory flight on August 13 and was hooked. I soloed on October 27 after 18 hours of dual training and in November I purchased a Piper Cherokee PA28-140, CF-XAR, and used it for the rest of my training. 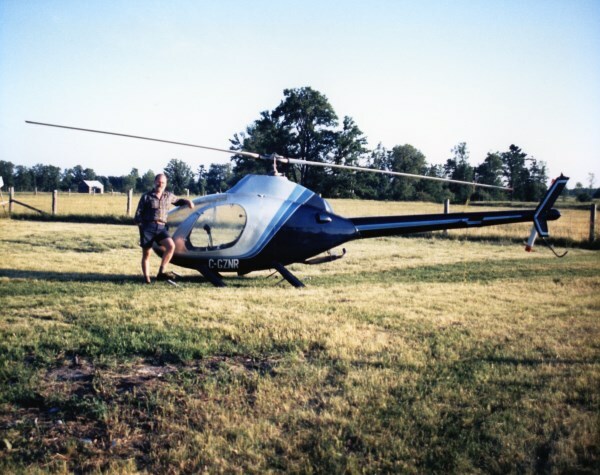 Owning my own aircraft meant I only had to pay for the instructor which help with the investment. I received my private pilot’s license April of 1975 after having accumulated a total of 47.6 hours of flying time. 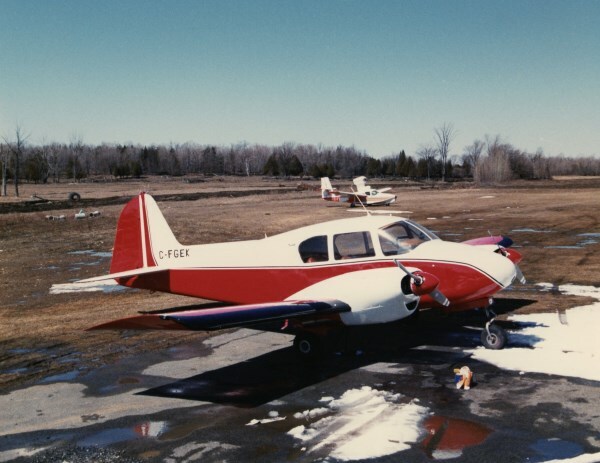 In August of 1975, I upgraded both my aircraft and license to a multi-engine rating with the acquisition of a Piper Apache PA23-140, CF-GEK. 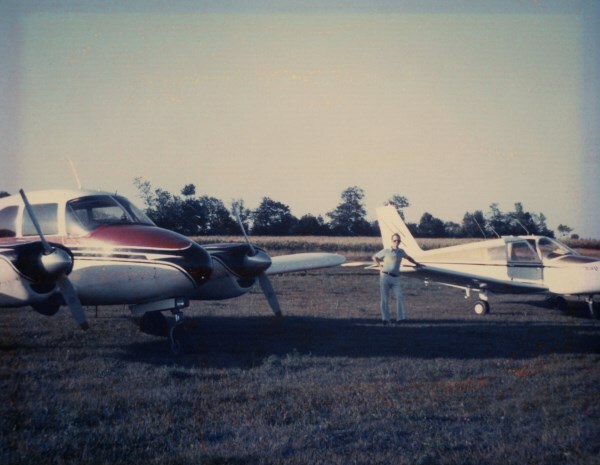 CF-XAR on the right was my first aircraft. This picture shows CF-GEK, my second aircraft, in her original colours. Here is CF-GEK in her new colours. By this time, I had a partner in the aircraft, Phil White, and CF-GEK was becoming a maintenance nightmare. Both props had run out of time and the replacement costs were almost as much as the plane was worth for scrap. Phil and I sold the plane and pick up another Cherokee, C-GDVQ, at a bankruptcy sale. Somewhere along the line we parted company with DVQ and Phil went on to purchase a Rockwell Commander 114, C-GOGJ, of which I became a minor partner. The Rockwell was a high-performance single and a joy to fly. Rockwell Commander 114, C-GOGJ. Sleek, fast, and a joy to fly. C-GZNR. The last aircraft I owned and it’s likely to stay that way. I finally found someone who took the helicopter off my hands after having it sit in my backyard for 10 years without being flown. As we watched it go down the road on a trailer heading west, we opened a bottle of bubbly to celebrate the occasion. I’ve never owned another aircraft since then. 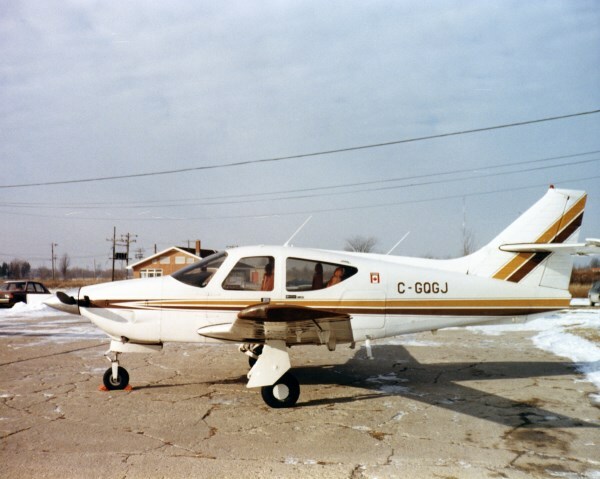 In 2008, for my 68th birthday, I went over to the Carp airport (C-YRP) and treated myself to a check-ride in a Cessna C-172P with a check pilot to see if I still had the touch. Apparently, flying an airplane is a bit like riding a bicycle in that you never forget how to do it albeit you’re a bit rusty.